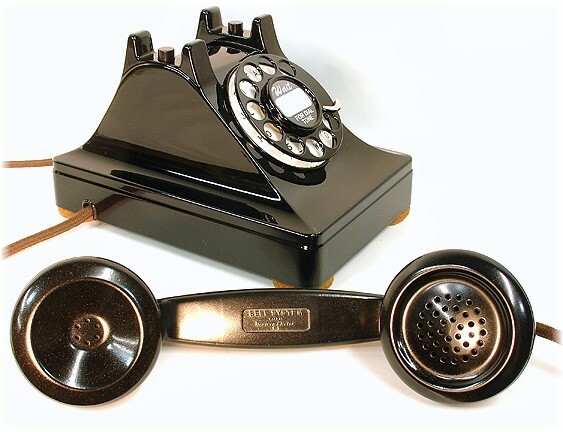 Now is your chance to own an original 1940, Western Electric model 302, desk-set telephone with the very desirable 5H dial, the F1 bakelite handset, and the brass bells ringer in full operating condition. 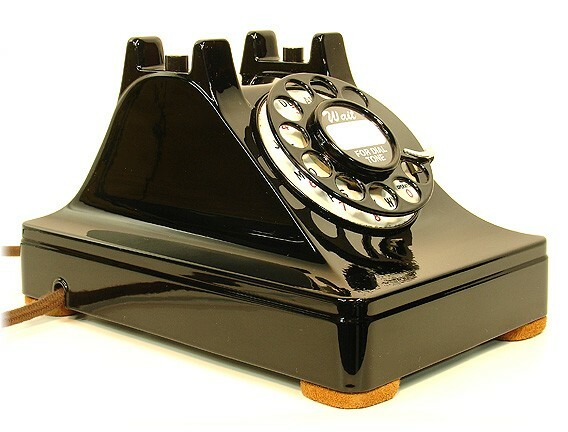 This vintage telephone has been restored and is ready for another 75 plus years. All you have to do is plug it into your modular wall telephone outlet and take a step back in history. 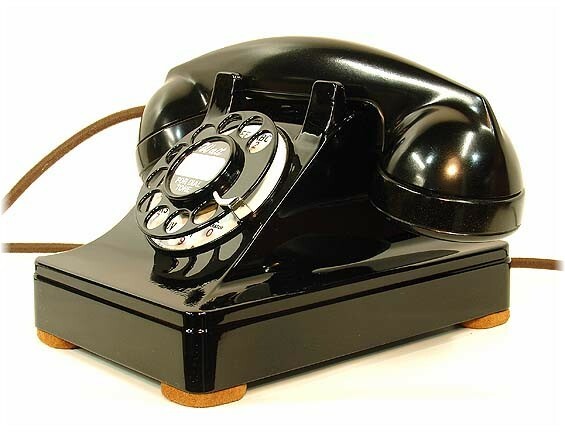 This beautifully restored telephone is ready to plug in and begin using right out of the box - guaranteed. It works just like it did when it came from the factory in 1940. You can dial out or answer calls when you hear the brass bells ringing. 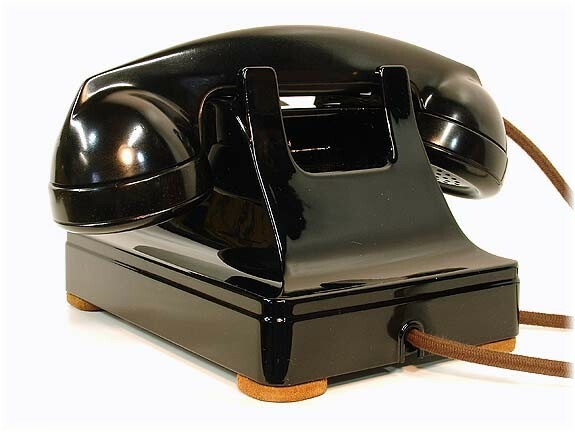 The telephone body is pre-WWII die cast metal and is heavier than most telephones. The feet have been recovered with new genuine suede leather to match the original. 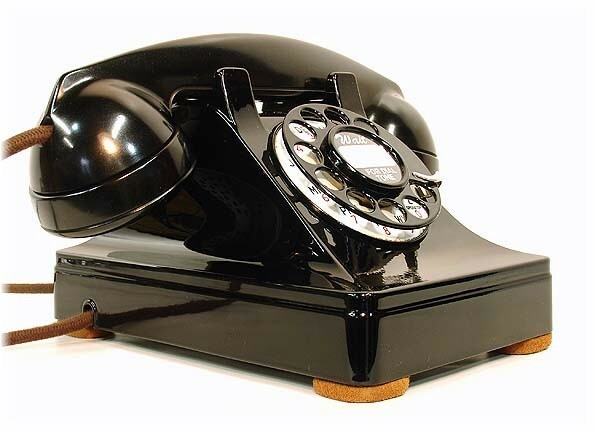 The Western Electric handset is solid bakelite and has been machine buffed to a soft luster. 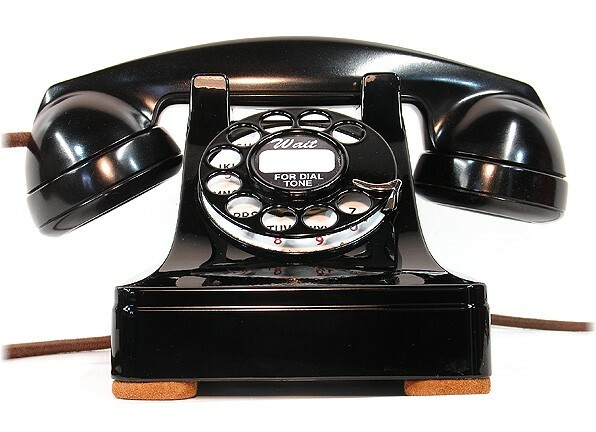 Cords are cloth covered telephone cords made especially for telephone restorations. Very nice porcelain dial face shows little wear and the numbers and letters are bold and sharp. Dial mechanism is the 5H, and it has been professionally cleaned, lubricated and calibrated. Nickel plated finger stop has been machined buffed to a mirror finish. 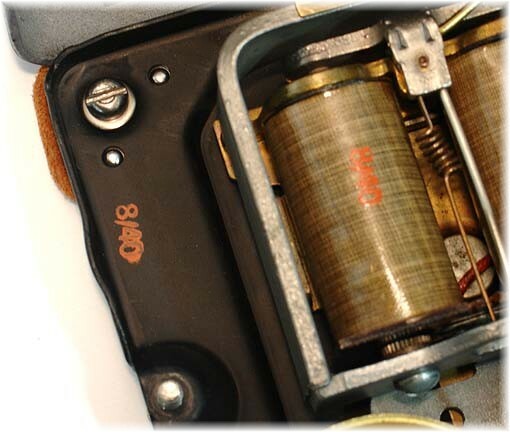 Date stamp indicates manufacturing date of 8/40 on the base and ringer coil. Interior of telephone shows the attention to detail of this restoration. Each of the twin brass bells has a slightly different tone and they actually harmonize when ringing. 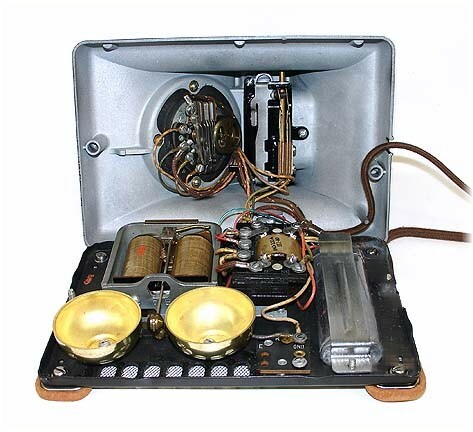 The model 302 is the first Western Electric desk-set with an internal ringer and voice network.. The refinishing process consisted of complete stripping, surface conditioning, priming, and painting. The paint is a two part system employing a gun applied base color coat and a catalyst activated clear top coat. 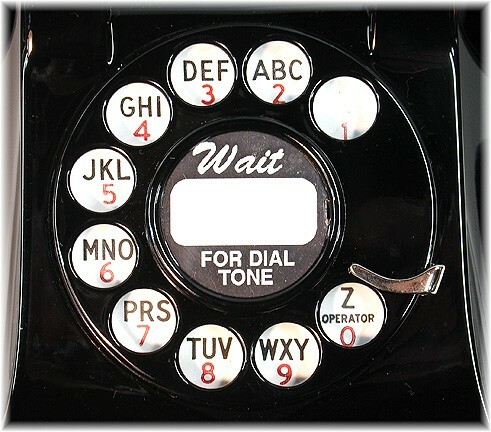 I have been restoring vintage telephones for many years and I stand behind my telephone restorations 100%. If you need to return this telephone, you need only CONTACT ME within 24 hours of the delivery confirmation. 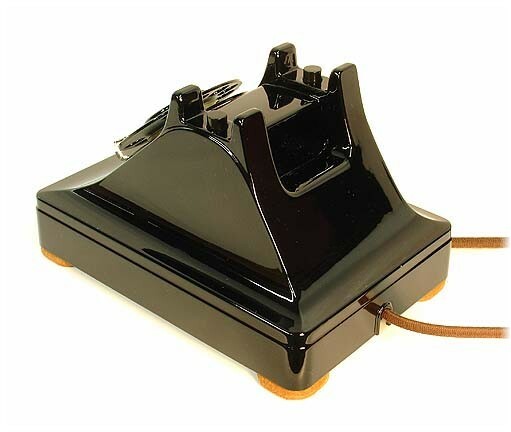 Then return the telephone to me within 7 days of receipt in the same packaging and in the same condition as shipped, and you will receive a prompt refund of the of the full purchase price. Shipping charges are not refundable. Although it is very rare for anything to wrong with my telephones, I still give a 1 year parts and labor warrantee. In addition, I am available for tech support by email or telephone. Paint wear around the cradle area is normal. Even Western Electric expected that. 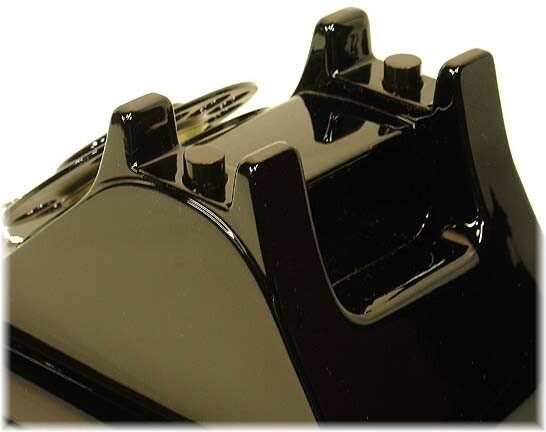 Although this cradle has no wear yet, it can be easily minimized by replacing the handset gently. For international bidders, please email for shipping costs.